Don’t worry. It’s the big one. 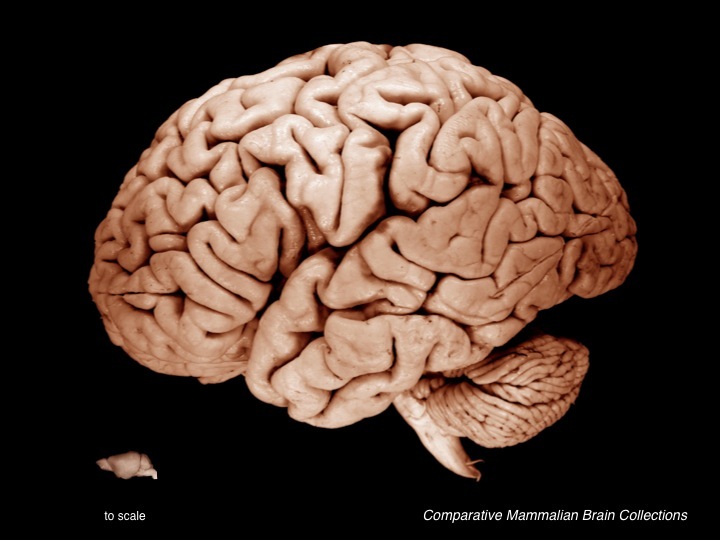 Unfortunately, all that genetic similarity makes it difficult for scientists to determine exactly why your brain is so sizable when compared with that of a mouse. To this end, neuroscientists at University of California, San Francisco have developed a new technique for studying the genetic differences in mouse and human brain development. Using this technique they have pinpointed a gene that contributes to human brain growth that is switched off in the mouse. The researchers found their difference in radial glia, the stem cells that go on to produce neurons and some of the other myriad cell types that make up the largest part of the mature brains of both mice and men. To do so they first built a map of which genes are expressed in different parts of both human and mouse brains. They compared brains that were in their early stages of development—after they had begun to grow and take shape but before the radial glia had transformed into neurons. The team then located 18 genes that were expressed by radial glia in humans but not in mice. One gene in particular stood out because it was already known to produce a protein responsible for stimulating growth, PDGFD.† They were then able to show that when this protein is removed from human neural stem cells in culture, their growth is halted, and when it is added to mouse neural stem cells in mice, their growth is promoted. “We don’t want to claim is that this is the magic bullet that causes the human brain to be big and the mouse brain to be small,” adds Lui. There are many other genes and proteins that likely contribute to the size difference, and this is just one of them. Still they hope their method will be useful for locating other genes in these and other types of samples, and for comparing humans with other animals that are even more closely related. *And very different they are: in size, in shape, in the amount of time they take to develop, in the number of connections between their neurons, and in the number of connections between their different parts.